Ultraviolet rays (UVA & UVB) from the sun weakens the immune system of the skin by directly damaging the skin’s DNA – what we refer to as the skin’s memory. UVA rays are longer wave lengths impacting the dermis, the true living layer of the skin. 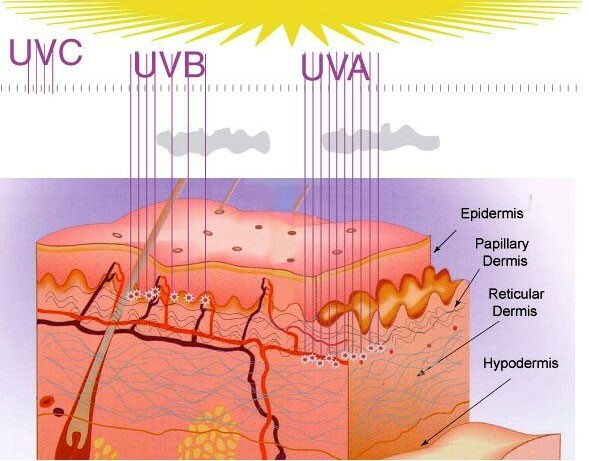 The impact of the UVA rays on the dermis negatively affects the fibroblast cells. These cells are responsible for producing collagen, elastin and hyaluronic acid. These substances give the skin its volume, elasticity, radiance and firmness. Skin’s with UV damage have faster, more aggressive aging, dryness and leathery skin texture. UVB rays are shorter wave lengths impacting on the epidermal basal layer and directly affecting the skin’s melanocytes that produce melanin (pigment). Excessive exposure to UV rays leads to aging sun spots, hyper-pigmentation and irregular distribution of pigment on the skin. Over time, constant unprotected exposure to the sun’s UV rays alters the skin cell’s DNA structure and can lead to skin cancers. Excessive short term exposure to UVA & UVB rays causes so much damage to the cellular DNA (cell memory) that the skin responds with inflammation. The inflammation is the body’s response to warn and start the healing process as it cannot cope with the influx of damaging UV rays. Inflammation is identified by extreme heat and redness, a burning sensation, the skin feels tight and irritated. In very extreme situations, there can be pain, swelling and blisters. Other symptoms like nausea and weakness can be experienced. After a few days, the skin may start to peel is as a result of extreme dehydration and the skin shedding these dead layers of cells. This is usually associated with itchiness and rough to the touch. 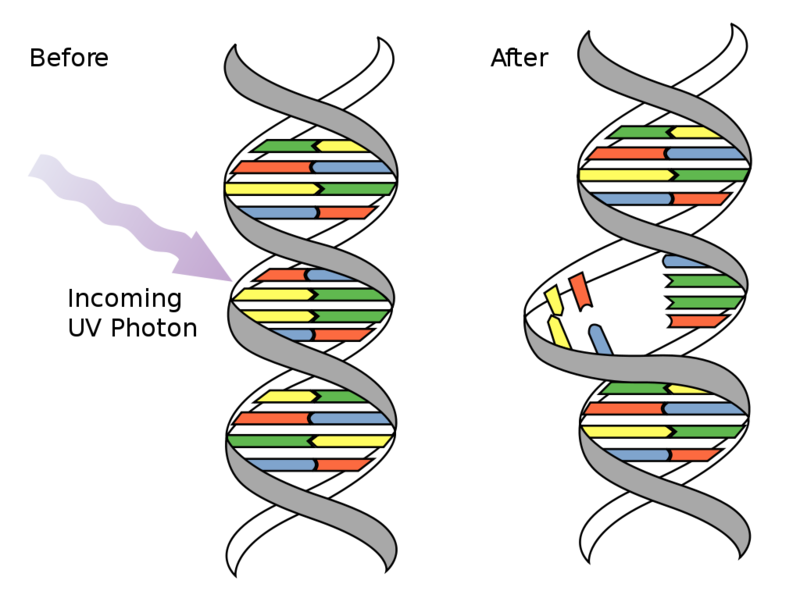 Although the skin sheds these dead & damaged cells, the skin’s memory, the DNA, has incurred the damage, and this can be replicated though mitosis/cell renewal. Protection is always better than cure as the impact on the cell’s memory is often irreversible and causes a serious skin health risk. Do not stay too long in the sun as no sunscreen product is 100% protection against these damaging rays. We recommend investing in high quality broad spectrum sun protection with DNA protection. 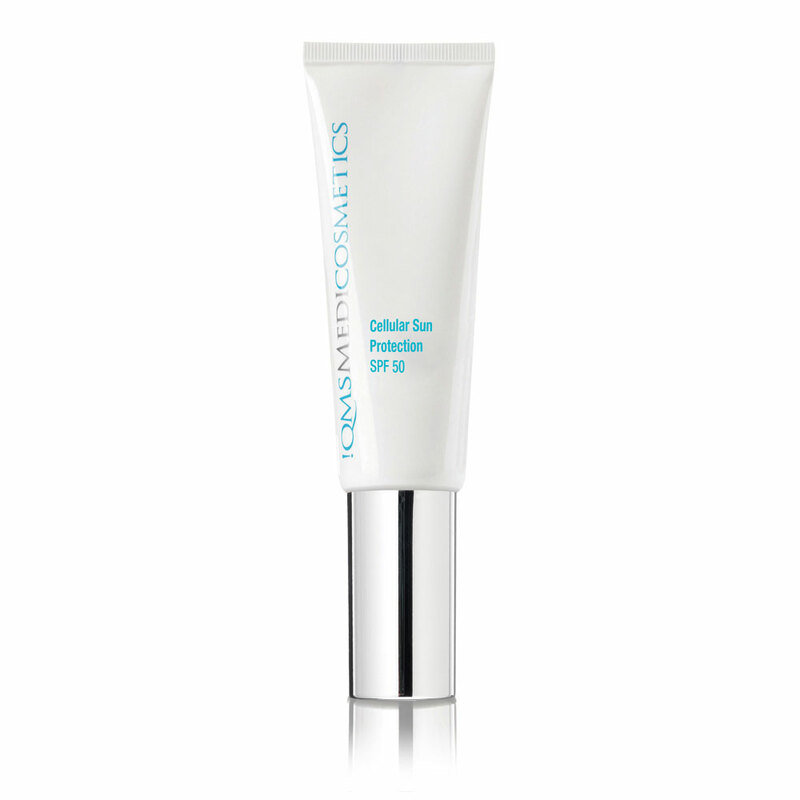 QMS Cellular Sun Protection SPF 50 which enhances the skin’s immune system, encourage DNA repair processes and supports natural and even pigmentation. 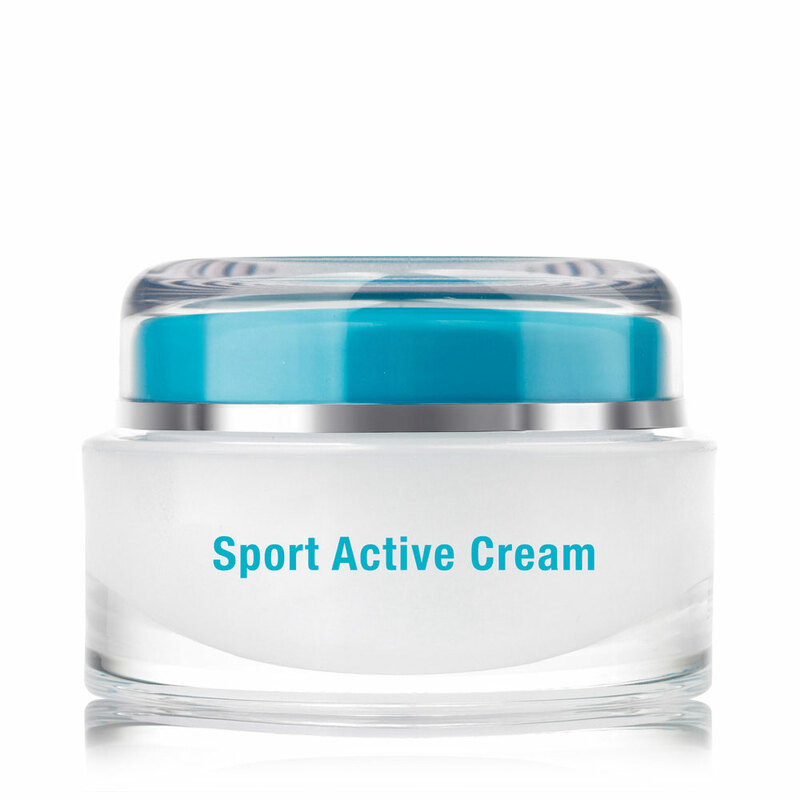 QMS Sport Active Cream contains SPF15 with DNA protection. Both would be suitable for daily use all skin types. 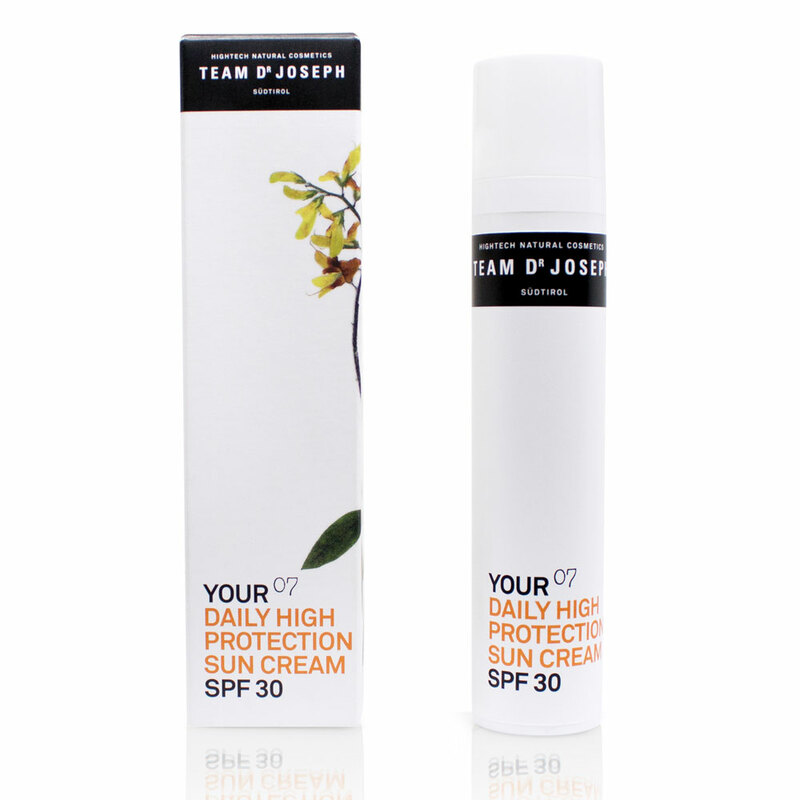 Team Dr Joseph Daily High Sun Protection Sun Cream SPF30 helps to prevent pigmentation and skin aging, suitable for kids and sensitive skins. Enriched with Vitamin C & E & Beta Carotene, cells are protected against the free radicals that attack the cell DNA, preventing oxidative stress. Oops! I’ve burned – what can I use to soothe and repair my skin? QMS Hydrofoam Mask is suitable for face and body as a after sun soother to replenish lost moisture and sooth mild sunburn. Team Dr Joseph Skin Calming Mask is packed with soothing anti-inflammatories, aids in cellular repair and relieves irritation while providing the skin with a moisture boost. 100% natural plant based product suitable for all skin types.